This muzzle loading rifle breech plug and tang was found in a bucket of old Lepley gunsmithing hardware at the Alonzo Lepley estate auction in Southampton Township, Somerset County, PA in the 1970's. 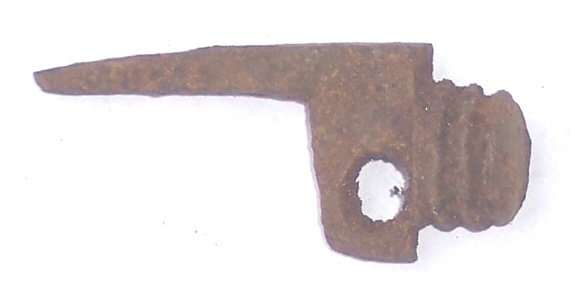 This item is relatively small, and may be for a small pistol or a reduced-size boy's rifle. The major diameter of the threads is 0.615", and the overall length is only 2.15".